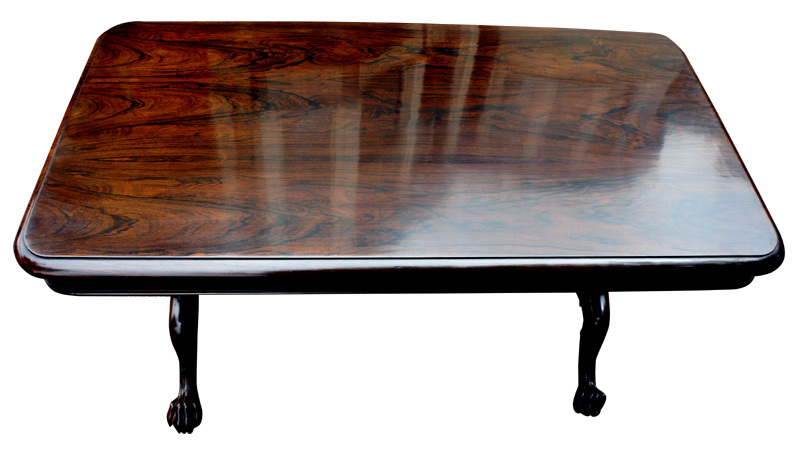 with a highly polished top, of elegant proportions and excellent colour and patina. 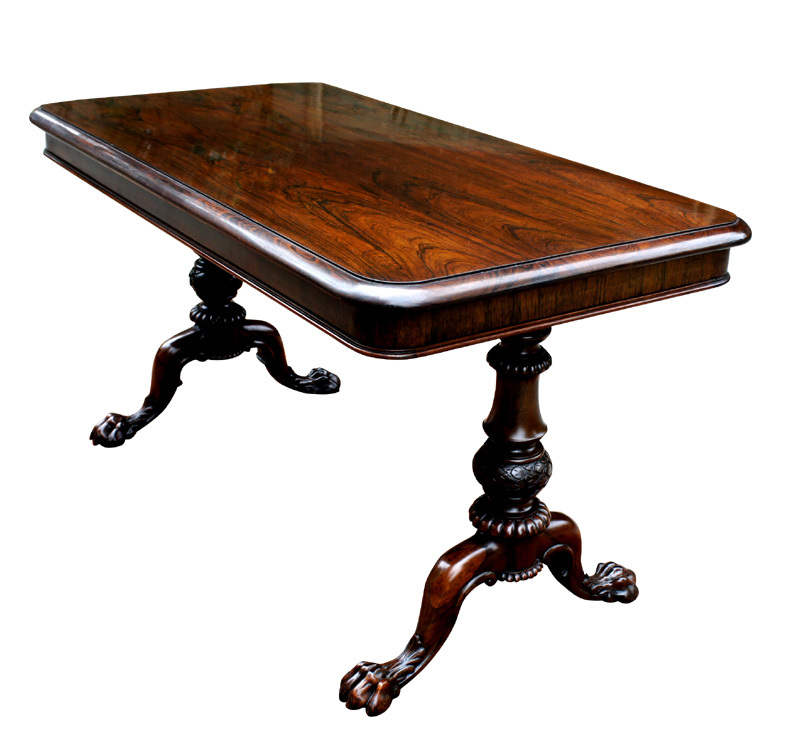 It was made by the famous furniture makers 'Gillows' and is a recognised design of theirs. 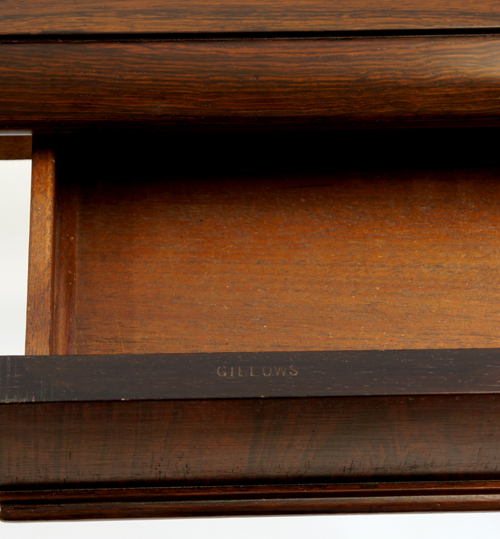 The table is stamp marked on the right drawer for the furniture makers and suppliers 'Gillows'. 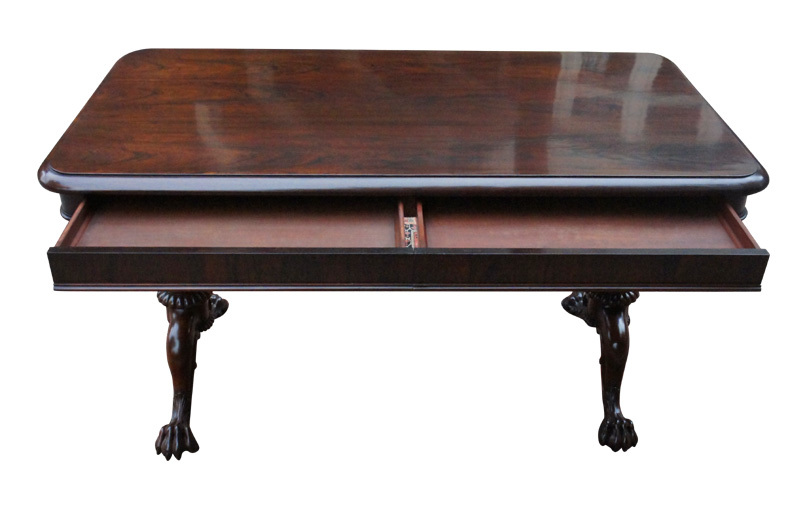 The top has a 'bull nose' moulded edge with rounded corners below which are fitted two drawers to the front. 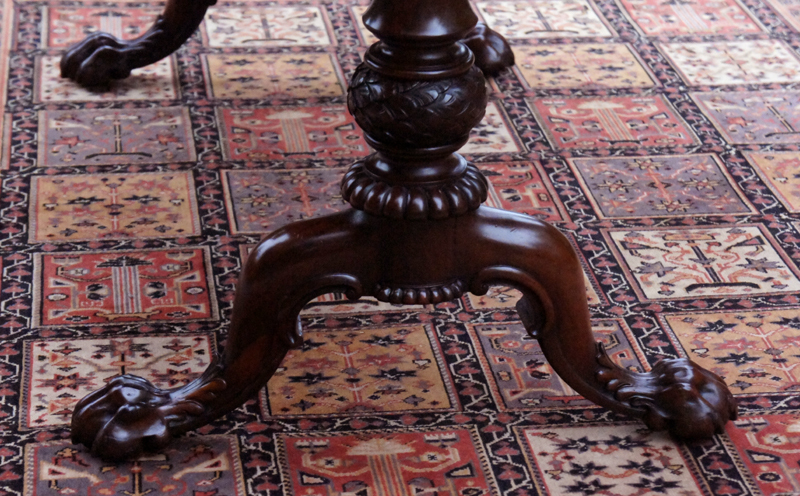 terminating in hairy paw feet with the original hidden castors. 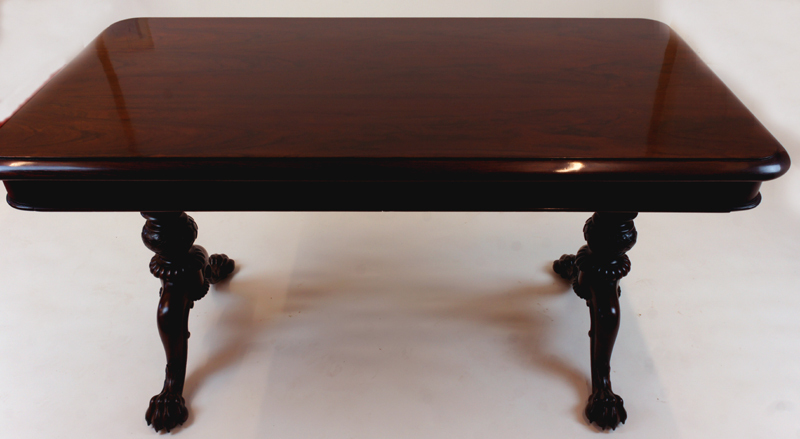 This antique Gillows writing table is of the best quality and made to the highest standards of craftsmanship. 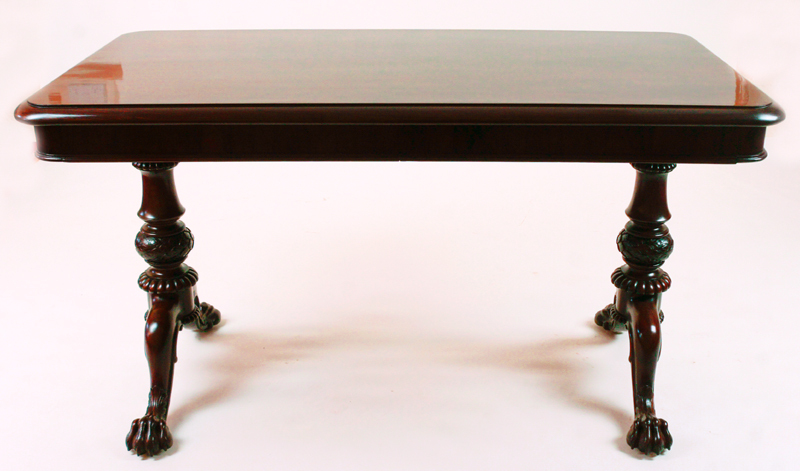 A beautiful table that would make a stunning focal point to any room in a contemporary or traditional style setting.